Week 2 has gone by in a blur- but what a great week it has been! 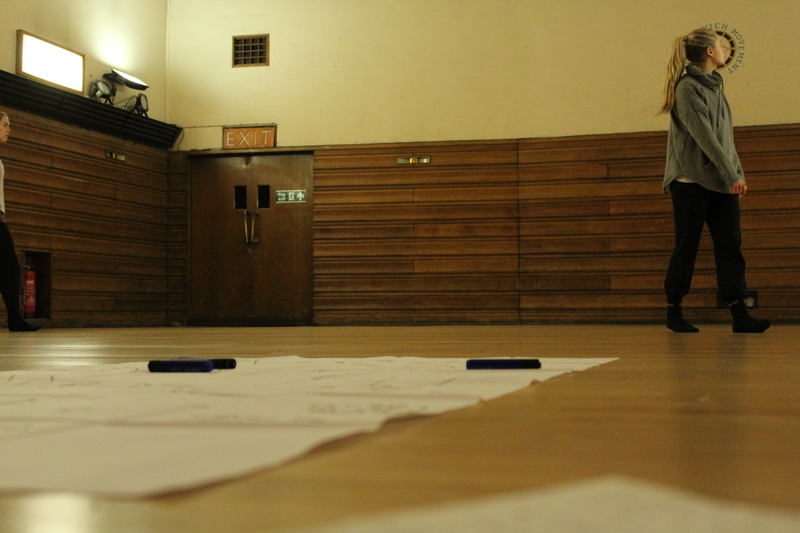 This week myself and the dancers were focusing on developing characters. This meant a lot of challenges for both the brains and bodies! Working with narrative and character is a completely new way of working for us, therefore it was a really interesting process that will continue to develop as the work grows. We began by exploring different ways of using speech when moving. 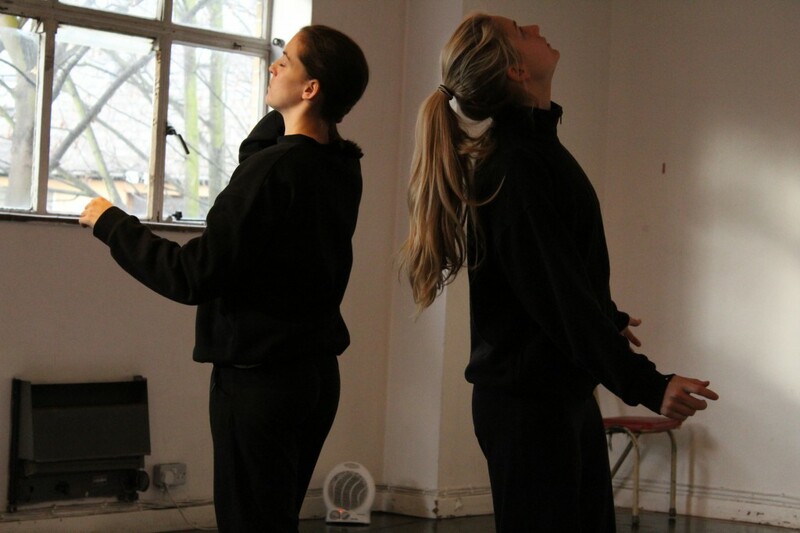 We approached this through improvisation, trying to find a rhythmic relationship between our voice and movement. 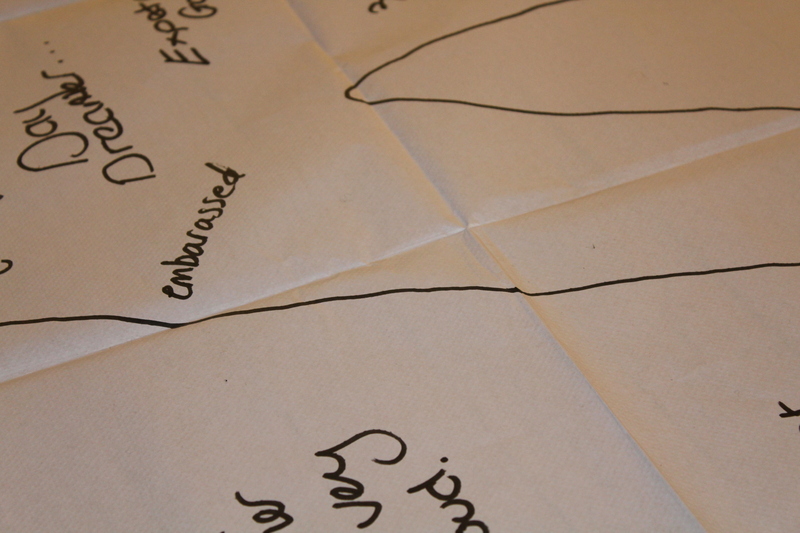 We then returned to the character profiles we started last week. 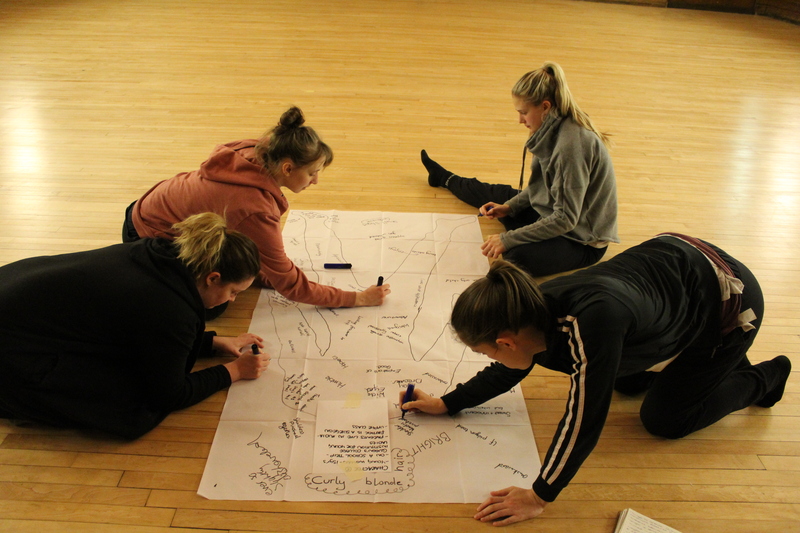 The dancers were given a character to explore and discussed the similarities and differences between themselves and the character they were to embody. We also worked through a series of talking and questioning tasks to encourage the dancers to explore their characters story. 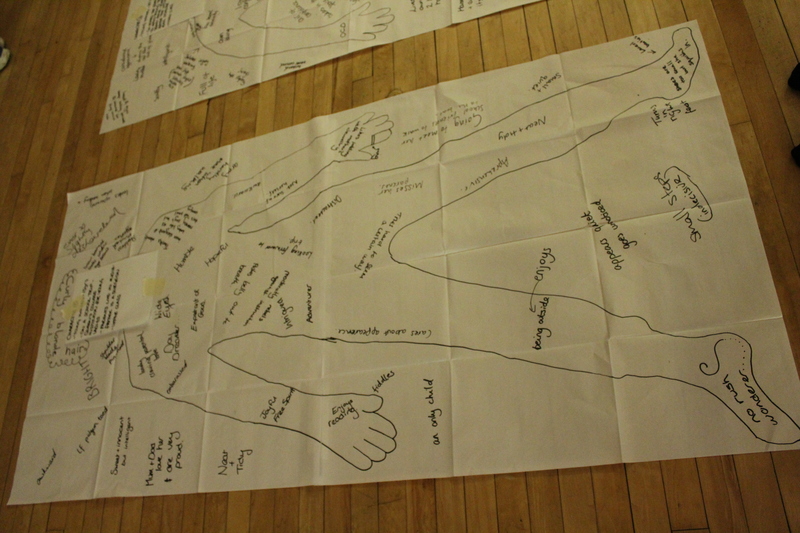 We physically explored the characters in a number of ways. We started by finding simply how each character walked and held themselves. The dancers were brilliant at jumping into a new identity. They found that the more they explored their character, the more questions they had about what their characters life would have been like in Victorian England. There were many discussions about questions that arose, many google searches on Victorian life, and many period dramas watched between rehearsals in order to try and understand their character. To explore every avenue of their character, the dancers were asked to explore their characters in a number of different genres. 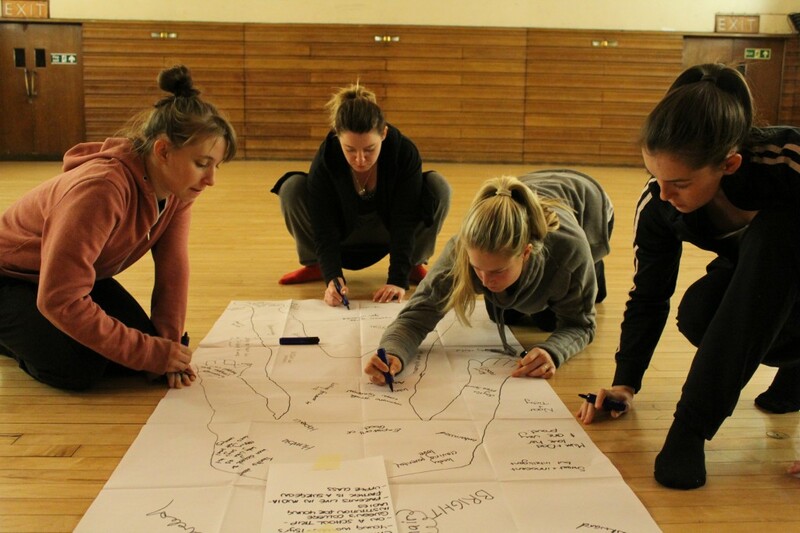 This opened up new possibilities for the dancers and furthered their understanding of who their character might be. As a choreographer it was wonderful to watch the unfolding of these four very different characters and there was also some hilarious moments in the experimentation! 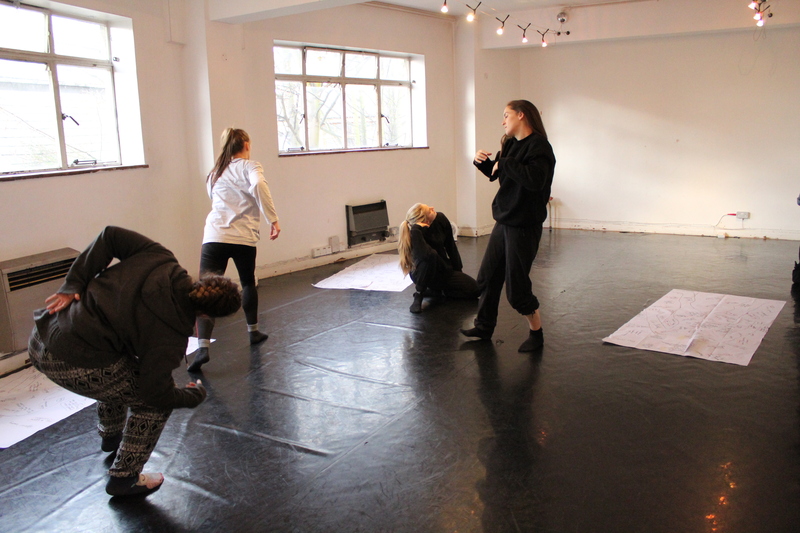 Although we were mainly working with improvisation this week, the dancers did create some set material based on a character monologue. The use of text was interesting and added another dimension to the characters. 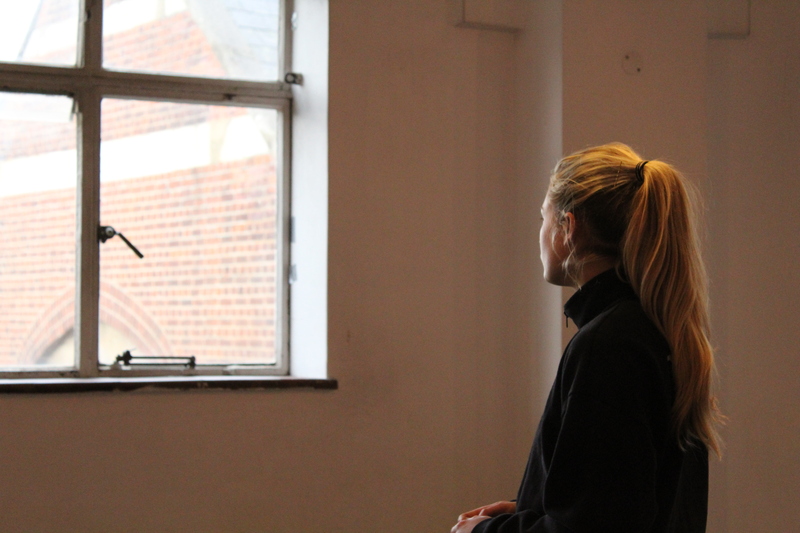 On Friday afternoon, we were joined in the studio by composer Portia Graves. Portia has been sending short music samples for us to use in the studio and this was an opportunity to see some of the material live and discuss her ideas with us. It was also really great to see all the material we have created so far- there is a lot! I can’t wait to get back in the studio on Monday to continue developing it and finding new ideas! Keep your eyes peeled for photos on our Facebook and Twitter pages.